Took the blue Monaco 2427 out for a sail this afternoon. With 3 to 4 Bft wind, water temperature 16°C, air 17°C. Me in a dry suit and all was perfect so we were good to go. I am starting to get the hang of sailing the Monaco with a sliding seat and it’s so much more comfortable compared to having to hike out in the footstraps. 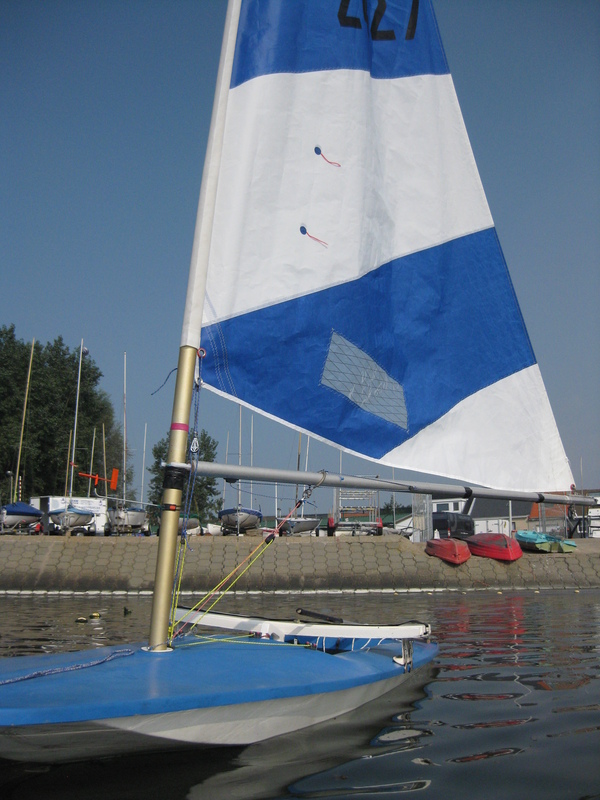 Finally I can enjoy sailing upwind whilst keeping the boat level without the well filling up. Flipping it over to a different course elegantly is a different matter, but I am sure this will improve. Eventually.